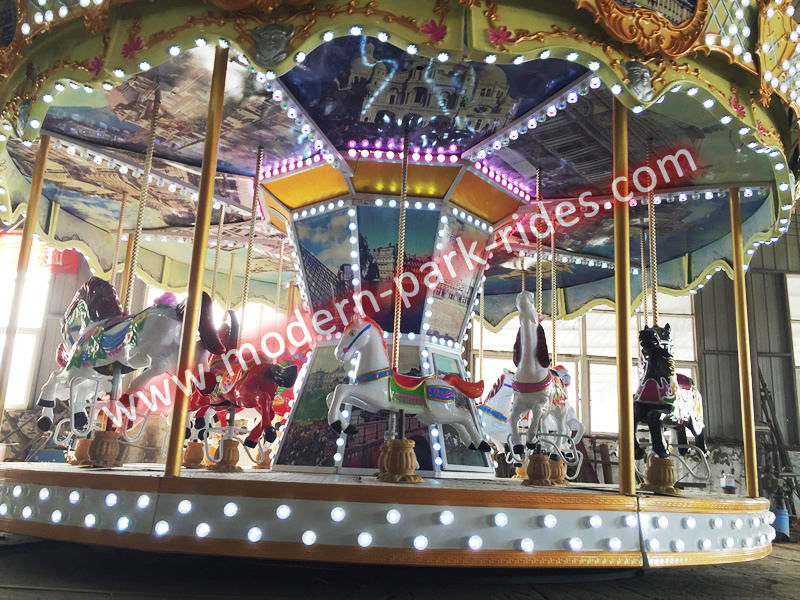 Merry go around with horses, also called carousel rides in the amusement rides manufacturer. It is a kind of non-thrill rides which is attractive to family with its beautiful and novel design appearances. As one of the traditional equipment, merry go round carousel comes with different shapes, sizes and seats.